If you need your iPad fixed, then iPhone mend can help. We are experts at iPad’s and know them inside and out. The iPad is a very delicate piece of technology that can store all of your essential information. If something happens and you drop, and the front screen breaks you could feel lost. If you are using your device for business contacts and information, you know what we mean. But, don’t worry because iPhone Mend can help. We completely understand your iPad is important to you. We take impeccable care of our customers and their devices. The biggest reason to come to us is because we repair iPads on a daily basis. Why take the time to learn yourself and leave everything to chance? If you bring your device to us, we can have it fixed the same day in most cases. Also, there will be far less chance your device will break further. We are experts and know what we are doing. This way, when you bring it to us, you have far less worry about breaking your device trying to repair it yourself. However, if you decide to try and repair your device yourself, make sure you back up all of your data. If you need help, call us. The next biggest reason you need to come to us for repair is, we have a warranty on every device we fix. Please call us for our current apple repair warranty details. We will be happy to answer any questions you may have. At iPhone Mend, you won’t find some lazy people who call themselves technicians. Every staff member is highly trained and very professional. We like to take care of business, and we think it shows. Our customers are the most significant thing we have going for us. So trust us when we say you will appreciate how we treat you. 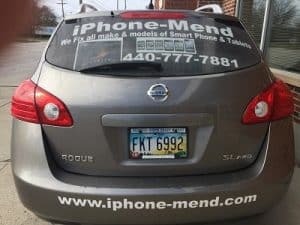 iPhone mend knows that quality parts make all the difference when it comes to repairs. 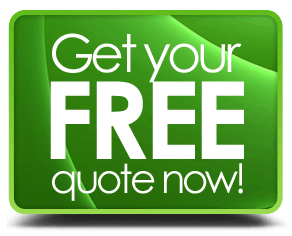 We do not and will not use cheap quality parts from discount places. We search high and low to find the best parts we use for all our repairs. It’s this practice that helps us stand apart from other repair shops, who may charge lower prices. It’s because they use junk parts. If you have any problems at all with your iPad, whether you need the screen fixed or anything else, please feel free to give us a call. We are pleased to answer any questions you may have.